General oblique aerial view of Friockheim, looking to the N.
General oblique aerial view of Friockheim, looking to the NNE. The site of a possible Prisoner-of-war camp is siutated immediately to the E of the cemetery at Friockheim. 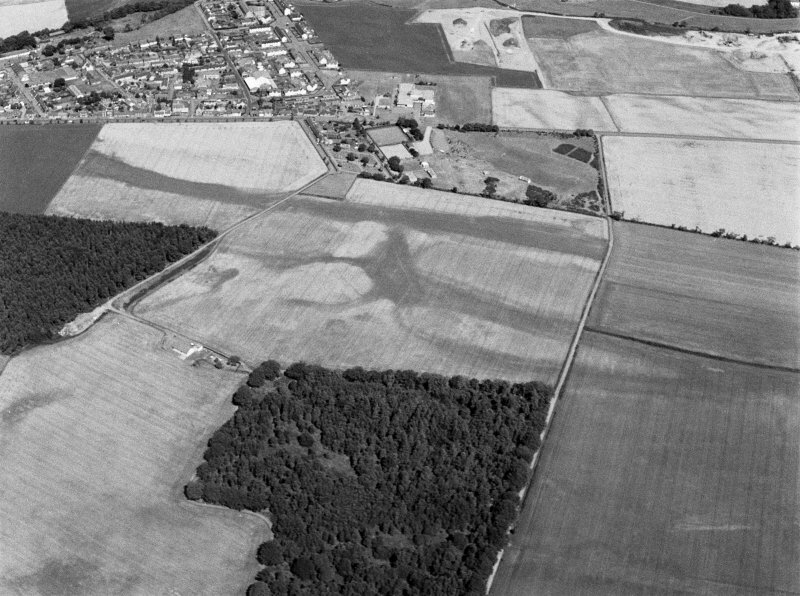 The site is visible on postwar vertical air photographs (106G Scot/UK 6, 3244-3245, flown 14 April 1946), and consists of at least four large and two smaller huts. In addition, a small rectangular area with paths can be seen situated centrally between the huts. 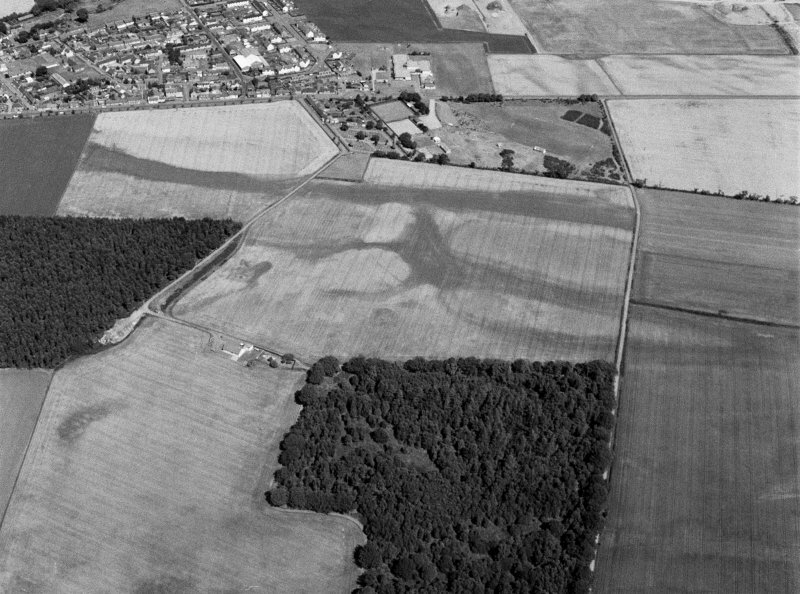 A Prisoner-of -war camp is noted at Friockheim as 'Kinnel Camp' in a list in 'Project Report. Twentieth Century Military Recording Project, Prsiner of War Camps (1939-1948)', National Monuments Records Centre, English Heritage Centre, July 2003 (Thomas, R, 2003).